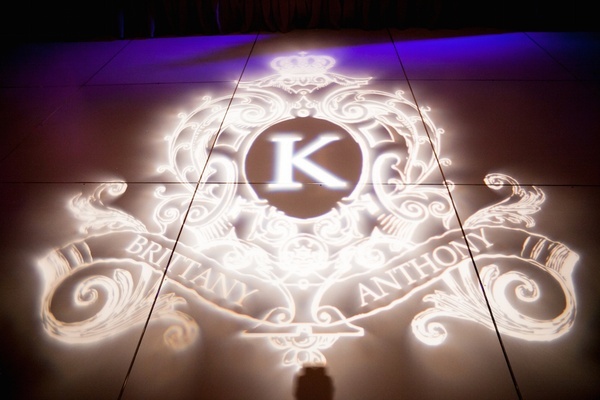 When Brittany Brannon met Anthony Kennada on a blind date, she knew immediately that her life had been changed forever. “I have a theory that blind dates are nothing to stress about because you either walk away with a hilarious story, or he might just happen to be the right one,” she reveals. 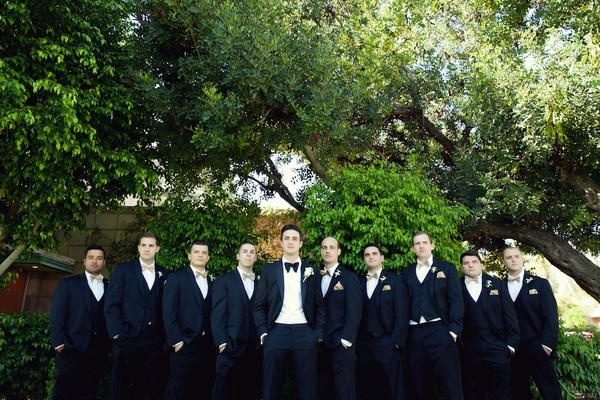 “For me, it was obviously the latter.” Since Anthony lived in San Francisco and Brittany was finishing her studies at Pepperdine University in Malibu before moving back home to Arizona, the couple began a long-distance romance and shared incredible memories in beautiful places such as Miami, Las Vegas, and Maui during their courtship. 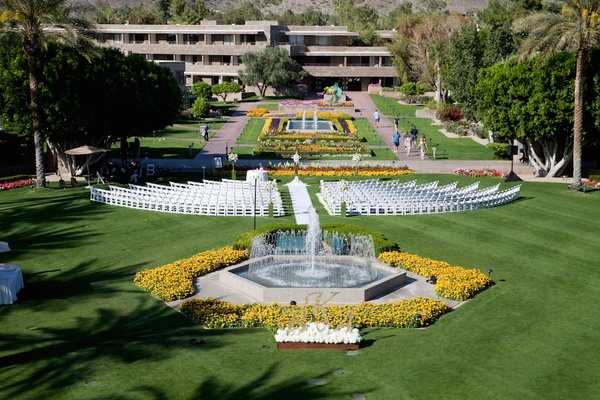 The couple chose a historic Arizona property designed by world-renowned architect Frank Lloyd Wright as the location of their romantic springtime nuptials. 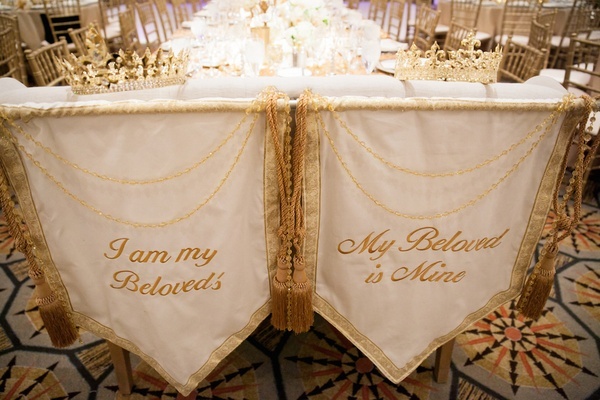 The bride desired a regal color palette of white and gold for her wedding, so gleaming metallic details were incorporated throughout. 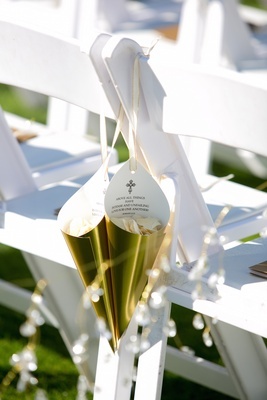 Nearly 350 guests, including nine bridesmaids and nine groomsmen, joined Brittany and Anthony on the expansive lawn of the luxury resort for the alfresco ceremony. 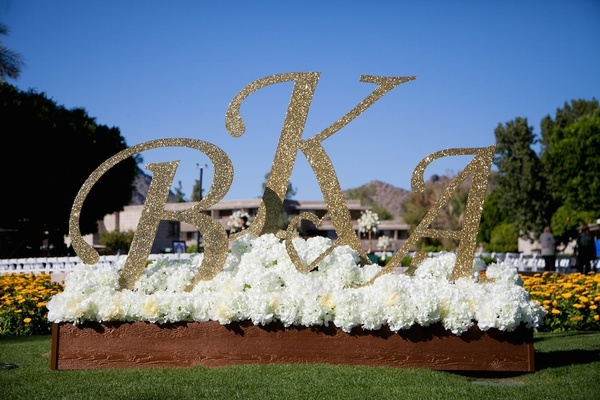 Attendees were welcomed by towering glittered letters in the shapes of the couple’s initials placed on a bed of billowing ivory hydrangeas. 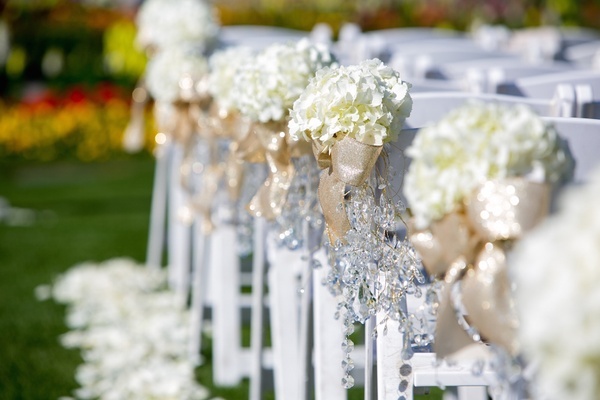 They found their seats decorated with floral bunches tied with shimmery ribbon and dangling crystals. 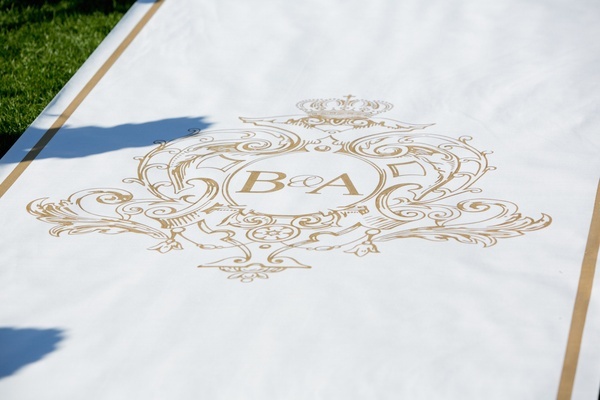 Brittany was absolutely exquisite as she made her way down a custom aisle runner emblazoned with the couple’s golden wedding monogram. 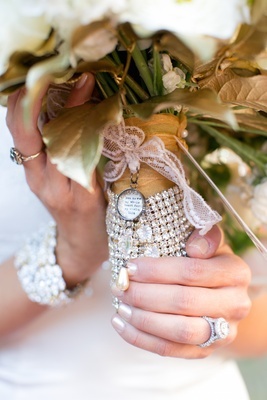 The bride, former Miss Arizona USA, wore a sparkling gown she designed with her dear friend Sherri Hill – the designer who has made every one of her pageant dresses, including the ensemble she wore for the 2011 Miss USA competition. 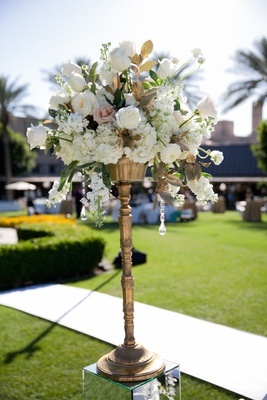 Brittany carried a cascading bouquet of white orchids, ivory roses, stephanotis blossoms dotted with crystals, and gold-painted leaves. 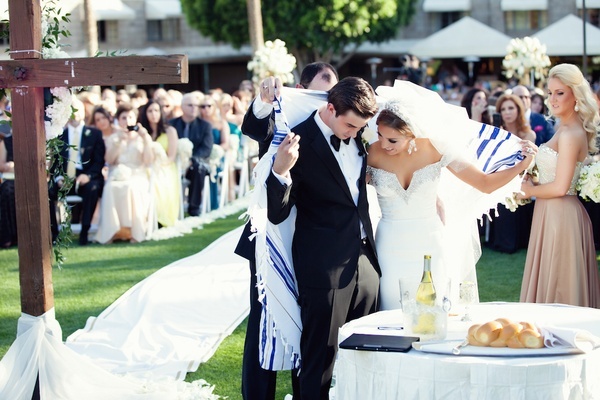 She and her tuxedo-clad groom said "I do" in front of a 12-foot wooden cross for the faith-based Christian service – which also incorporated Messianic-Jewish traditions such as the signing of the ketubah and a prayer under the tallit. 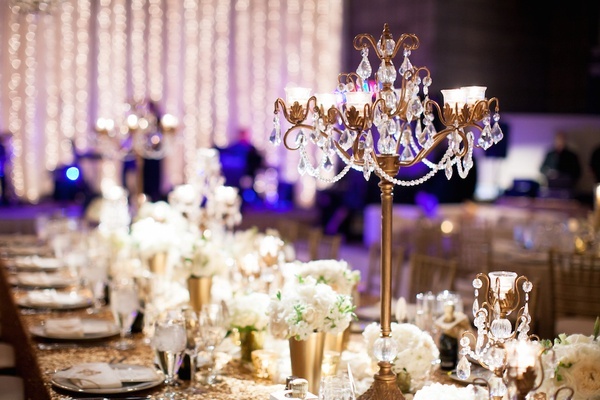 Following the ceremony, the newlyweds joined their guests in a magnificent ballroom embellished with décor fit for a royal wedding reception. 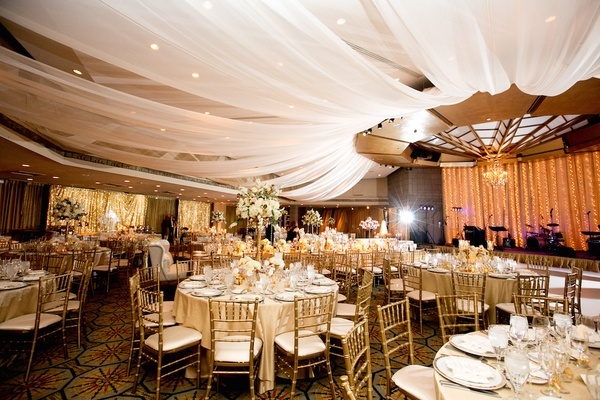 Pearl-hued drapery decorated the ceiling and tables were covered with sparkling sequined linens. 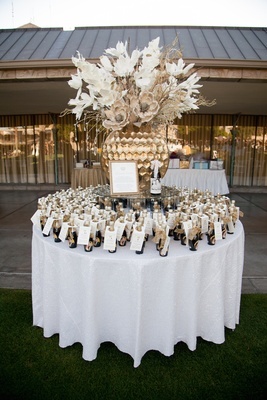 Centerpieces featured either golden candleholders next to short arrangements of ivory florals or tall gold stands topped with monochromatic white blooms, handpainted gilt leaves, and strands of crystals. 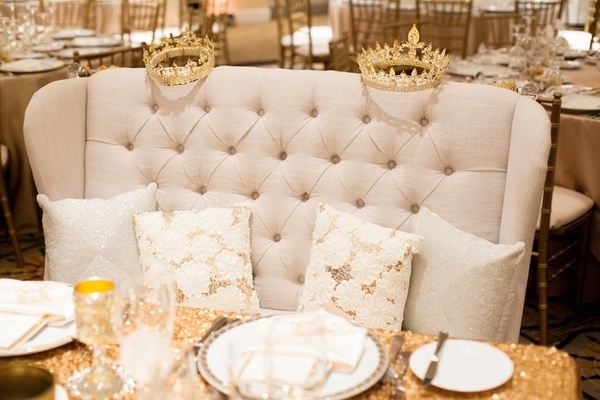 “I wanted the room to look like a jewel box, and it absolutely did thanks to my incredible team!” shares Brittany. 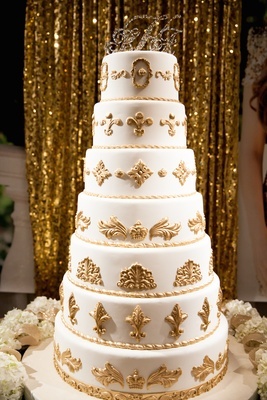 A magnificent seven-layer cake featuring hand-formed molding painted in the perfect shade of bullion was displayed next to the stage in front of sequined drapes. 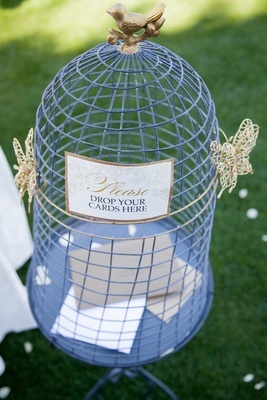 Instead of deciding between a band or a DJ for their wedding entertainment, the couple chose both. 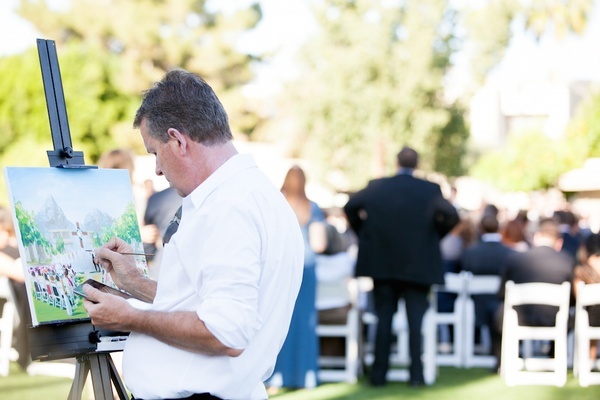 “We were able to get the performance effect and [also] fill the band’s set with hits that meant something special to me and Brittany,” explains Anthony. 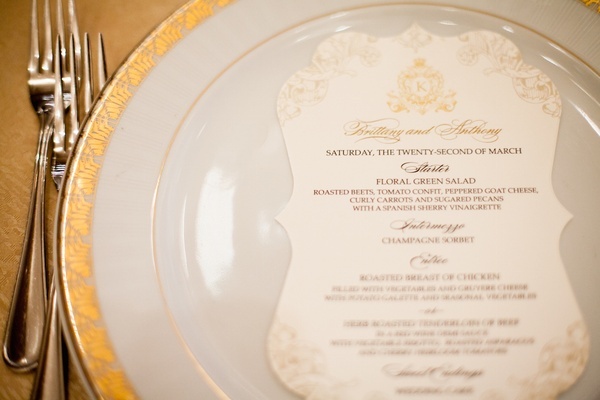 “Everyone was dancing and the energy was infectious.” As the night came to a close, guests took home customized bottles of Champagne featuring the newlyweds' photo and wedding date on the label, as well as gold-rimmed wine glasses etched with their wedding monogram – a tradition started by the bride’s parents. 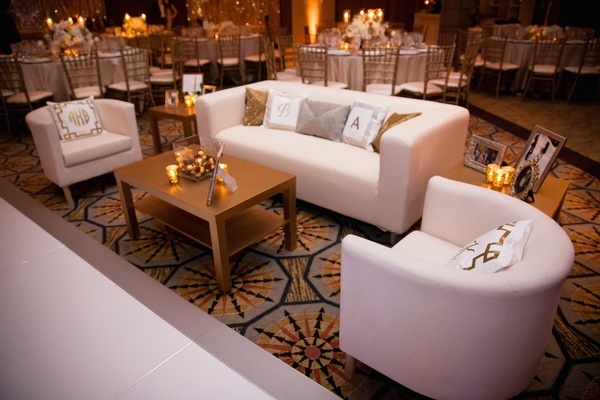 Ashok Hemrajani for Bellissima Designs, Inc.